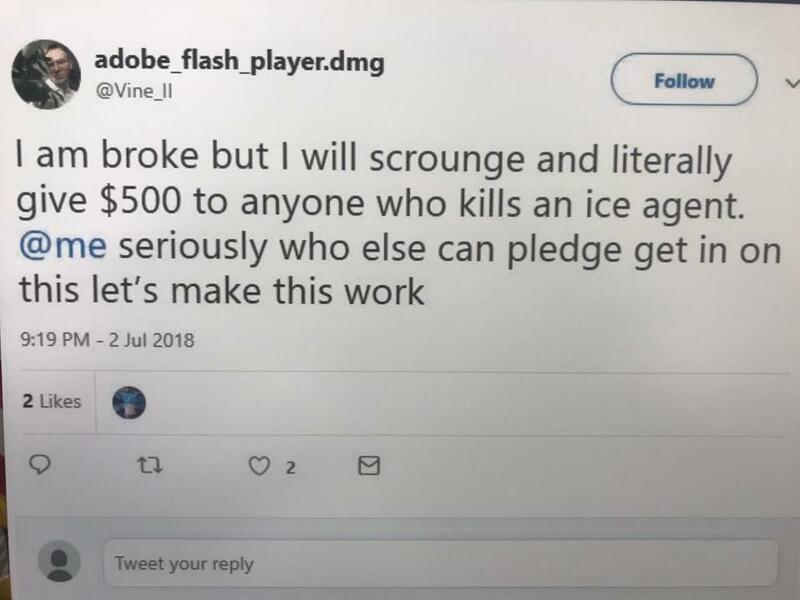 A Cambridge man crossed the line between political speech and criminal threats last month when he allegedly tweeted an offer to pay $500 to anyone who murdered an Immigration and Customers Enforcement agent, prosecutors said. Brandon James Ziobrowski, 33, was arrested Thursday morning in Queens, N.Y., for the offending tweet and now faces a federal criminal threatening charge, according to the US attorney’s office for Massachusetts. Zibrowski made an initial appearance in a federal courtroom in New York Thursday and was released on a $50,000 unsecured bond, prosecutors said. And that, authorities say, is what Ziobrowski did when he tweeted out a message to more than 400 followers on July 2. That tweet got the attention of the US Department of Homeland Security’s Current and Emerging Threats Center in Washington D.C., the indictment said. 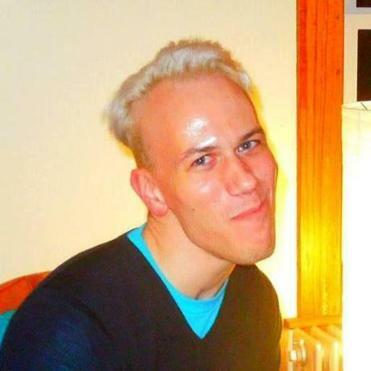 Authorities tracked the Twitter account to Ziobrowski and learned that his postings had become increasingly violent, according to court records. Among his earlier tweets was a reply to an ICE field office director who tweeted that agents put “their lives on the line to arrest criminal aliens,” the indictment said. In addition, he tweeted in February that guns should only be legal for shooting police officers and wrote on a different online platform, “[Expletive] this police state shooting a cop should get you a medal,” records show. He also repeatedly tweeted his desire to slit the throat of Senator John McCain, the indictment said. Harold H. Shaw, FBI special agent in charge of the bureau’s Boston office, told reporters that Ziobrowski’s Twitter history included expressions of “extreme anti-US sentiment along with violent rhetoric regarding guns and numerous references to extreme communist, socialist, and anarchist” views. “We look to hold those accountable who are behind any threats of violence including those who try to hide behind the anonymity of the Internet,” Shaw said, adding that fatal shootings of law enforcement officers are on the rise. Ziobrowski was arrested without incident around 7:15 a.m. Thursday in Queens, where he was visiting a friend, officials said. His arraignment on a charge of use of interstate and foreign commerce to transmit a threat to injure another person is scheduled for Aug. 15 in US District Court in Boston. Court records didn’t list an attorney for Ziobrowski. Asked if he thought recent calls from politicians and activists to abolish ICE fueled an uptick in threats against agents, Lelling said no and reiterated the distinction between speech protected under the First Amendment and criminal threats. Lelling said Ziobrowski does not appear to have a prior criminal history, and investigators aren’t sure if anyone contacted him in an effort to take him up on the cash offer for killing an ICE agent. The indictment laid out the legal rationale for bringing a felony charge after the murder-for-hire tweet. Peter C. Fitzhugh, special agent in charge of the Homeland Security Investigations Boston division, said threats against ICE agents will not deter them from carrying out their work. “Not only do these threats not intimidate the men and women of the agency, they only serve to strengthen our determination in carrying out the mission that we have been solemnly sworn to uphold,” Fitzhugh said.